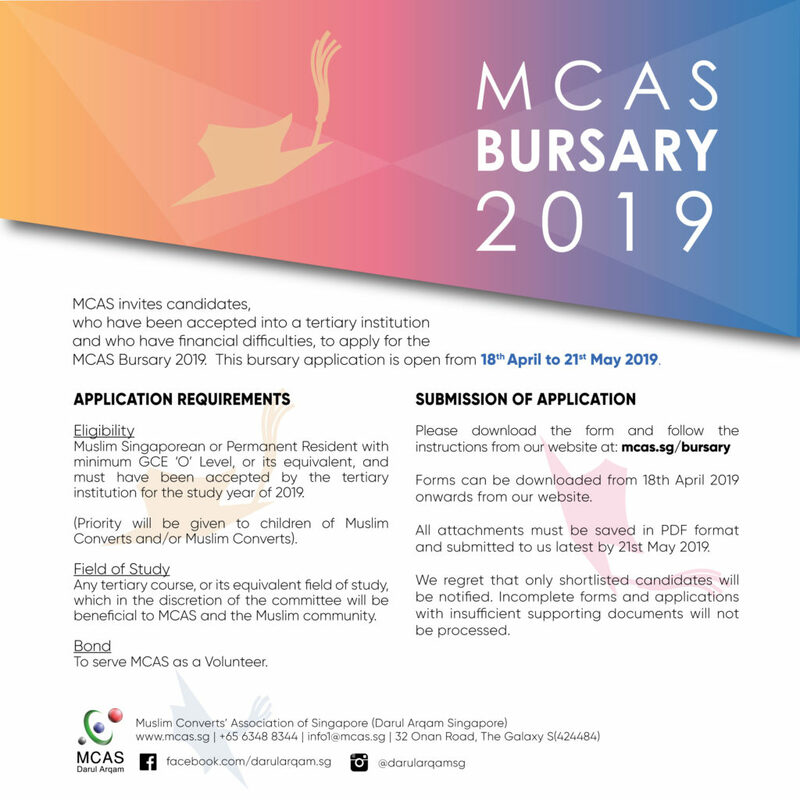 MCAS invites candidates who are currently undertaking a diploma, degree or post-degree courses and who have financial difficulties to apply for the 2019 MCAS Bursary. The bursary application will be open from 18 April to 21 May 2019. Any tertiary course or its equivalent, which in the discretion of the committee, will be beneficial to MCAS and the Muslim community. To serve MCAS as volunteer. Forms can be downloaded from 18 April 2019 onwards from our website. Please download the Bursary Application Form and follow the instructions therein. All attachments must be saved in PDF format and submitted to us latest by 21 May 2019. Applications with incomplete information and/or supporting documents will not be processed.